Home > About > What do we offer? In general our aim is to pursue the right use of our tools for the realization of positive projects on a corporate, educational and social level. Our product range contains several accessories, books and work-templates, making it easy for everyone to work with. Aside from our products, Manual Thinking offers workshops for companies, schools and individuals, both for training purposes as well as for the exploration of specific business cases. With years of experience in product design, we also provide the possibility of accompanying our clients in the design & development of the results of our business opportunity workshops. 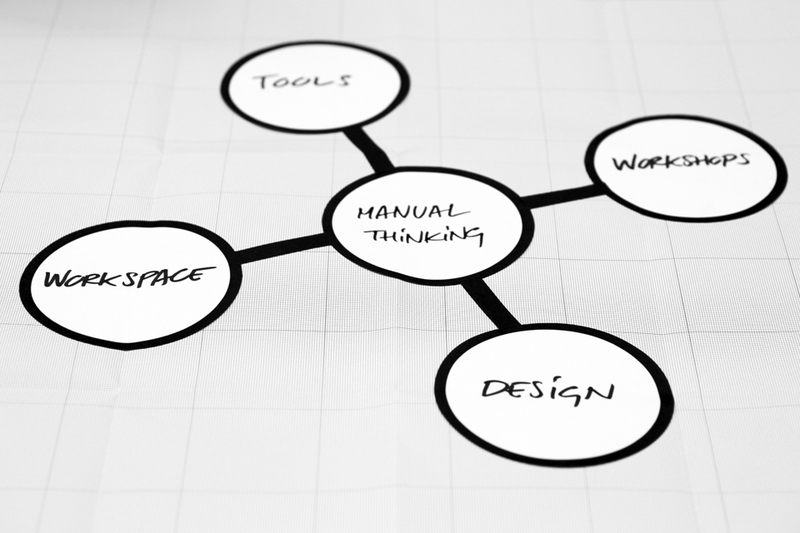 Complementary to its range of tools and accessories, Manual Thinking offers a combination of elements for the creation of inspirational and participative workspaces, ideal for offices, schools or co-workings. Have a look at our products or find out more about our workshops, workspaces and design services.